Winter in The Valley is a time of extremes. As Madam La Farge in Charles Dicken’s Tale of Two Cities says, “it was the best of times, it was the worst of times”. Let’s start with the best of times. Whether young or old we waited through the November days to spot the first snowflakes of the season. They were delicate things that drifted through the still air and settled gently on our clothes. We looked upward, as though if we looked hard enough we could find the place where those tiny flakes were born. And when a flake or two settled on our cheeks or eyelashes we laughed at the wonder of it all. The season’s first snowfall added more wonder. 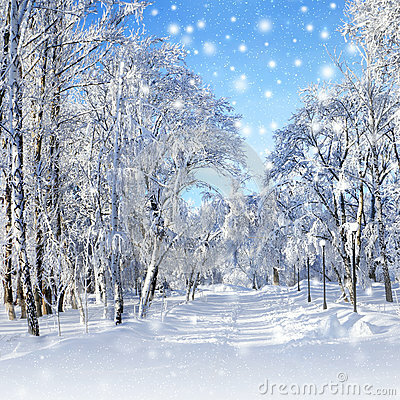 I can never forget as a youngster waking up in the morning to find the world covered in a blanket of white. Soft, powdery snow that sparkled in the early morning sun as it clung to trees, shrubs, railings, and every inch of ground that had long before yielded up the bounty of summer blooms. As an adult I loved to stand indoors on a snowy night and watch the swirling snowflakes as they came together to create that brilliant white blanket. No matter how many times I’ve witnessed a snowfall, there always seems to be a hush that comes along with it – as though the world has bowed it’s head in reverence at the wonder that has befallen it. There’s something magical about a snowstorm. The wiping clean of mankind’s slate that gives us promise of a new start. And later, as the snow melts that new start is fed as the water contained in the snow nourishes the ground beneath it and feeds the dormant grass and trees. And then there is the worst of times. Stepping back from our moment of awe we realize that life must go on. We have jobs to return to and families that need our attention. The beautiful white blanket of snow must be removed from driveways; our cars must be cleared; roads must be plowed and sanded; in short the business of life must go on. The crystalline sparkle is soon muted with brown sand and salt, snowbanks grow on the sides of the road, tires crunch the snow beneath them tamping down the powder into hard ridges that will later freeze as the temperatures drop. As the day progresses the driving becomes more difficult and where the plow has scraped the snow away to the bare asphalt an almost invisible sheet of moisture forms. Once frozen it becomes one of the most treacherous offerings of winter – black ice. Valley drivers fear black ice. One instant of inattention to driving can cause a car wreck and possibly injuries to drivers. If a wind picks up then snow is blown across the road, camouflaging the black ice and making it all the more something to be avoided. Folks who live on hills make it a point to venture out during the middle of the day – when temperatures are at their warmest. On days like this Valleyites strive to return to their homes before the sun drops behind the horizon to enjoy the warmth of a hot meal and donning a flannel shirt, sweatpants, or whatever else gives us comfort we relax in the knowledge that our family is safe at home. Comfort foods sustain us – a steaming bowl of soup or chowder; a hearty meal of meat and potatoes or perhaps a lasagna; and if we’re lucky a batch of homemade cookies or a slice of homemade cake for dessert. Later we snuggle on the sofa, wrapped in a blanket or afghan as we watch our favorite television shows. Yes, the best of times can be the worst of times. But Valley folk are New Englanders and that makes them sturdy folk indeed. From the time we’re old enough to ride in dad’s car we observe how he guides the car through snow-covered roads and navigates through the worst ice storm. Driving in bad weather becomes second nature to us. While Valley residents accept those snowstorms as a bump in the proverbial road, it is the ice storm that strikes fear into all. 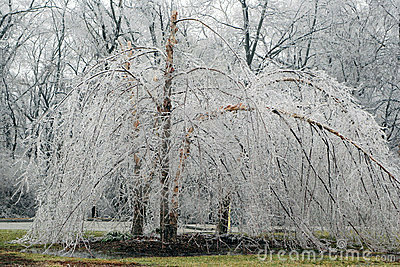 Yes, an ice storm is twice as beautiful as a snowstorm as it encapsulates even the smallest leaf in a heavy layer of ice. No one goes out during an ice storm unless they are first responders or have some kind of official business and have a vehicle equipped to drive on ice.The roads quickly become slick and we watch from our windows as cars slip and slide along the road. There is a trick to driving on ice and although I’ve spent over forty years driving Valley roads I still prefer to stay home and avoid the white knuckles, hands clutched on the steering wheel, heart racing as my car inched along the roads. Much better to stay home if possible. The worry about utility lines snapping under the weight of the ice is ever-present. There have been many ice storms that caused power outages and this in itself can be life-threatening. But when the storm has passed and power has been restored, when the sun is shining again and the ice is sparkling like diamonds, there is nothing more beautiful. Winter in The Valley is an ever-changing, living presence that only serves to make the residents resilient. And until you’ve experienced the warmth and neighborliness that it evokes you won’t know what you’re missing. Marion has a wonderful way of capturing the Valley just as it used to be & just as it is. Wonderfully written! You described perfectly the trials and tribulations of winter in the “Valley”! As a matter of fact, it is snowing here right now! As you masterfully indicated in your tribute to winter, it’s time for me to snuggle on the couch, wrap myself in an afghan and watch TV!